Usually servers are large machines that take up huge amounts of space on the floor or lots of space in a rack. But no more, a new Node.js Linux server has launched by iCracked for developers who want to be able to write software for Internet of Things applications and other tasks that is very small. The server is called Ocean and it is about the size of a smartphone. The small size means that you can slip the server in your pocket and carry your work with you wherever you go. 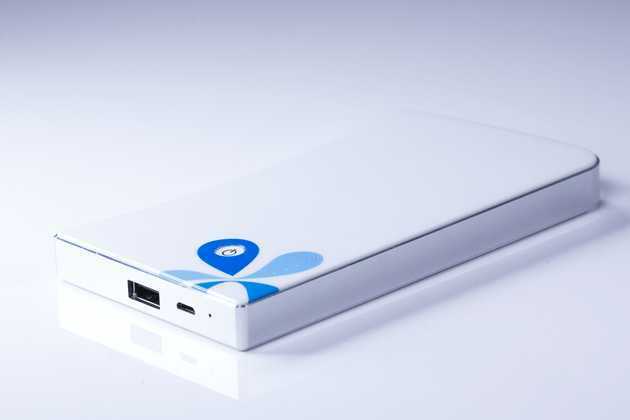 The smartphone-sized server, Ocean is is pre-loaded with Debian 8.1 Jessie Linux and uses a 1GHz dual-core processor, 1GB of RAM, Bluetooth 4.0 LE, and WiFi. Power comes from a 4200 mAh battery and it has a USB 3.0 port. The developers say it’s “powerful enough to run a Node.js web server” and also supports Ubuntu, Raspbian, Android, and other operating systems. Manufacturer claims that Ocean can run with the CPU at continuous utilization for two days on a single charge. There’s no display and no video out port. This isn’t positioned as a mobile phone, tablet, or desktop computer. Instead, it’s designed to be used as a headless server. 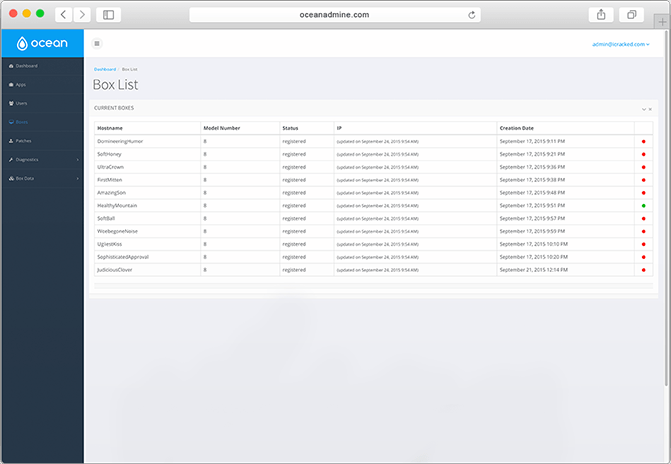 You connect to it over the internet or a local connection using a web dashboard, SSH, or other methods. Theoretically, there’s nothing you can do with an Ocean pocket server that you couldn’t also do with a Raspberry Pi or other single-board computers. But what makes this product a little different is that you don’t need to build it yourself: it has a built-in battery, wireless card, USB port, and even software for getting started. You can also use it as a power bank to charge your other gadgets on the go. Multiple Oceans can be controlled remotely from our management dashboard. Alternatively, you can just SSH to an Ocean like any other Linux server. You know Ocean manufacturer iCracked, a company that repairs, buy, and sells iPhones. Ocean was originally hardware for iCracked techs to use out in the field for gathering information on devices they were fixing, but iCracked figured there might be a wider market for the devices, so they’re offering them up to the public. Ocean starts at $149 for 16GB of internal storage or $199 for 64GB of internal storage with shipping kicking off in 2-3 weeks.